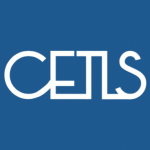 Can’t make it to CETLS for an upcoming event? Did you know that you can now participate in many CETLS events using web conferencing software called Zoom? Look for a Zoom link on pages for events on the CETLS calendar. You’ll need a computer with a webcam and microphone to participate, or you can run Zoom on your tablet or phone. To help you get started, we’ve posted some tips for participating in Zoom meetings, as well as instructions about using the Zoom software on various devices. Email us at cetls@bmcc.cuny.edu if you have questions or would like more information.